Johor Menteri Besar Osman Sapian reportedly ignored media questions today regarding allegations that he had lied about having an accounting degree from Universiti Putra Malaysia (UPM). 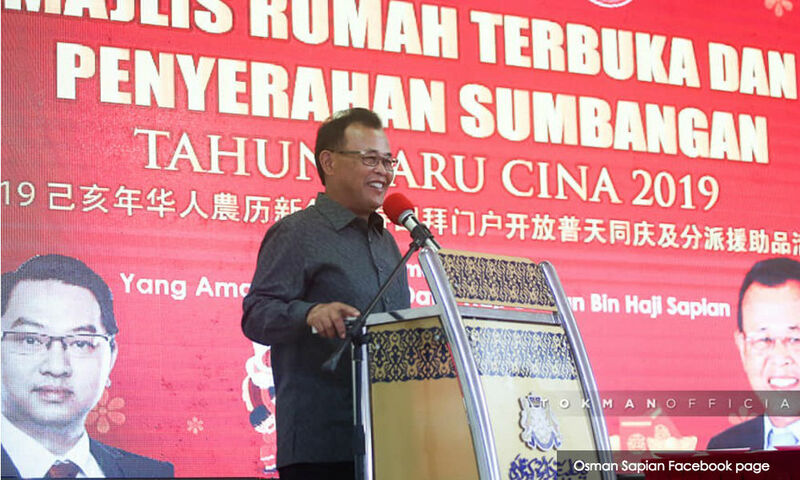 The New Straits Times (NST) reported today that Osman merely smiled when asked by reporters about the matter after a Chinese New Year function in Kulai today. The Johor government's website shows that Osman has a degree and diploma in accounting from UPM. It does not state when these certificates were obtained. Critics on social media, however, claim that there is no record of Osman having graduated from UPM. They support their claim with a screenshot turning up no results when Osman's name is searched on the UPM website. However, the UPM website does not appear to contain a directory of its alumni. Sinar Harian reported that UPM was checking its records to see if Osman was one of their graduates. UPM vice-chancellor (academics and international) Iqbal Saripan also told the daily that the university does not issue accounting diplomas, but said Osman may have studied under a different programme in the economics faculty. Osman is the second Bersatu leader to be targetted over his academic background. Bersatu secretary-general Marzuki Yahya has also been under fire, and yesterday shared his degree and academic transcript from the US-based Cambridge International University (CIU). However, the transcript showed discrepancies, as Malaysiakini found that the grades matched those of a template transcript provided by CIU's website. The CIU is alleged to be a degree mill.